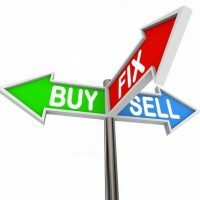 The term fix and flip is slang used for buying a property at a lower price, fixing it, and then selling it for a profit. Many people make a business out of it. Most have the capital to do this while others seek loans. You can get these commercial real estate loans from mortgage and private hard money lenders like Capital Market Funds or banks. The period with some Fix and Flip Loans Phoenix may be up to 12 months with a rate of interest between 7 – 12% with no pre-payment penalties. You can even prequalify in minutes with all the correct requirements. The traditional Fix and Flips are usually financed as Hard Money Loans which have a maximum term of a year. They have 12-18% rate of interest at 2 – 5 points. One point is equal to 1% of the borrowed amount. So, if you have borrowed $112000 then the lender charges 2 points. Thus, you pay 2% of $112000 which is $2240 over the loan. The lending is based on the After-Renovation Value (ARV) of the property. If the property costs $80000 and the ARV is estimated to rises to $160000 then you can borrow up to $112000. This means after paying the cost price of $80000 the balance of $32000 will pay off the lenders fees, closing costs, carrying costs, renovation, selling expenses such a marketing costs and agent commission. And if you keep to the budget you will manage the entire fix and flip within the loan amount. The $2240 is a substantial chunk of your budget of $32000. If you pay a 15% interest for 6 months the total interest will be $8400 on $112000. Most lenders expect interest only payments per month but some may allow it to accrue and be paid at the end of the flip. After paying the two big expenses – the points and interest – you will have $21360 to pay for everything else. So, if the property does sell for the estimated cost of $160000, you have made a net profit of $48000. It costs money to fix and flip the house because in addition to buying the property, you will also need money to renovate it. There will be the cost of repair, utilities, insurance, contractor’s fees, holding costs, listing and brokerage costs. Besides these you will have to pay the short-term capital gains tax at the rate of 10 – 39.6% depending on your federal income bracket. This will take away from the profit you earn. Even with a down payment, you will pay more than you borrowed thus fixing and flipping is considered a risky proposition. Then the processing fees when you finally sell the property. Due to all these factors, there is a collective rise is property price putting it out of reach for many. Online mortgage lenders for the flippers who know the business and need money immediately. Hard money and Private Money Lenders (Like US) – (see trustee sales) These are best for the novices with poor credit score. Of course, the rate of interest will be higher due to the risk they are taking despite poor credit. Banks are best for experienced borrowers with good credit scores, collateral and capital on hand for the down payments. Minimum loan size should be $75000.